Skate shoes are shoes specially designed and manufactured for use in skateboarding. They are worn by both skaters and non-skaters because of their dope designs and urban fashion appeal. Everyone. While some non-skaters choose to wear skate shoes, the design of the skate shoe includes many features designed for use in skateboarding. These features almost invariably include a flat sole made of rubber or polyurethane, a suede or composition leather, and double or triple stitching. Some popular brands are Vans, DC Shoes, and Airwalks. 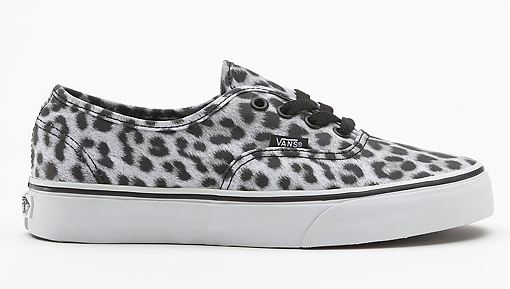 What are the Best Skate Shoes for Fall 2012? 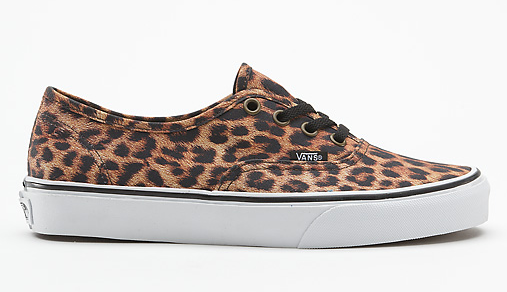 Besides, the Leopard Authentic, show above, here are some of the best skate shoes for Fall 2012. Skateboard Pro, Josh Kalis' signature kicks for DC Shoes are ill. Not sick, or infermed, but ill. Like, all this foam padding for comfort and support. All these insoles and engineered low profile airbag support. Put these kicks through the toughest conditions in whatever action sport you partake in, and they will laugh and say "bring it." These kicks laugh. That's how awesome they are. 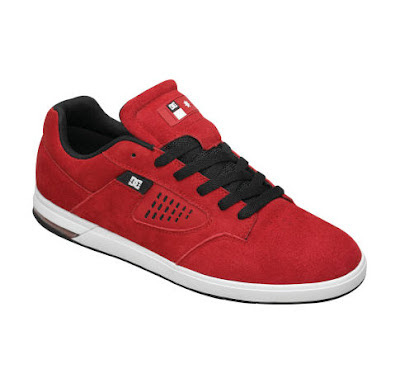 MENS CENTRIC S KALIS DC SHOES, priced at $75. In the late 80’s, skate shoes mainly consisted of overly simple suedes and basketball hi-tops. 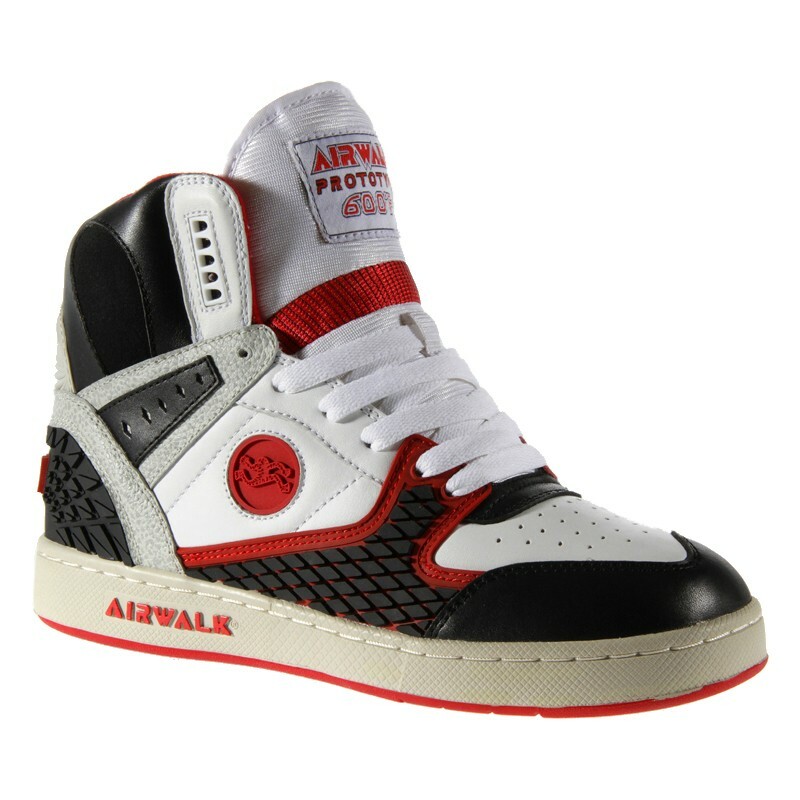 Enter the Airwalk Prototype Series. These shoes took the first serious look at improving skate characteristics like durability, grip, and comfort. These reissued Prototype 600s accomplish all that with rubber ollie pads, outsole flex grooves, padded collar and tongue and bangin’ 80’s style. This is an original Prototype 600 colorway and was called the Torch when first released. This limited edition style is exclusive to Airwalk.com. A skate shoe company that has been trending in the past couple of years, especially on Tumblr, is Supra Footwear Company. 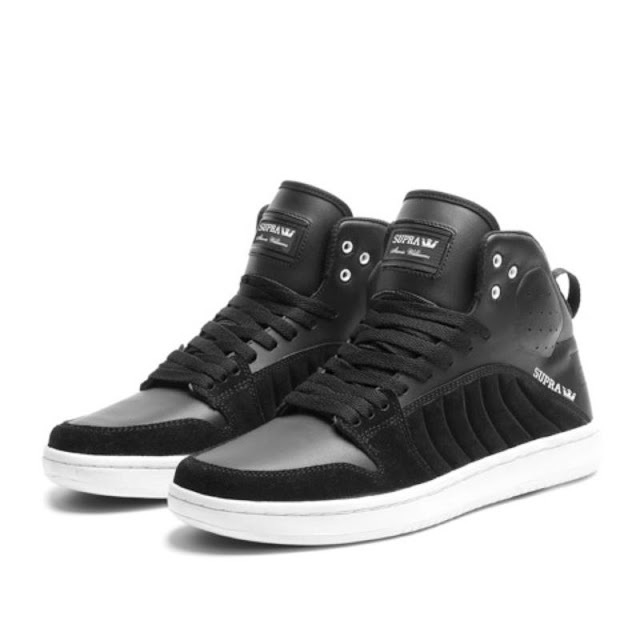 And their best kick for the fall has got to be this Stevie Williams signature model Supra S1W Shoe. This black suede beauty with white walls makes me weak. It retails for $95. This new, high performance, mid top comes with a lightweight, cored out, cup sole that features a new SUPRAFOAM® footbed with impact technology. Extra protection and comfort is provided by the padded side gill design, as well as the ankle protection pod, which is perforated for breathability. The padded heel-pull insert delivers both functionality and added comfort.